American Airlines was one of the first airlines to operate an airport lounge in 1939 (Insight). As a trailblazer, the airline announced plans to renovate major hubs’ lounges for the next two years. The Dallas-Fort Worth based airline currently operates two types of lounges – FlagshipSM and Admiral Club® lounges for its premium class and selected AAdvantage™ frequent flyers. The airline currently operate three FlagshipSM lounges in its network at New York JFK International Airport (JFK), Los Angeles International Airport (LAX) and Chicago’s O’Hare International Airport (ORD). This number will double by 2017 with new FlagshipSM lounge opening in other hub cities located in Philadelphia International Airport (PHL), Dallas-Fort Worth International Airport (DFW) and Miami International Airport (MIA). American Airlines is also introducing FlagshipSM Dining at DFW, JFK, MIA and LAX in 2017 that would allow First Class passengers in its 3-class international and transcontinental flights to have exclusive multi course meal designed by an Executive Chef. This option is similar to British Airways’ concept for its premium passengers on international itineraries. *Qualifying international cities include flights to or from Europe, Asia, Central and South America, Australia and Mexico City only. All other international destinations are excluded from this benefit. 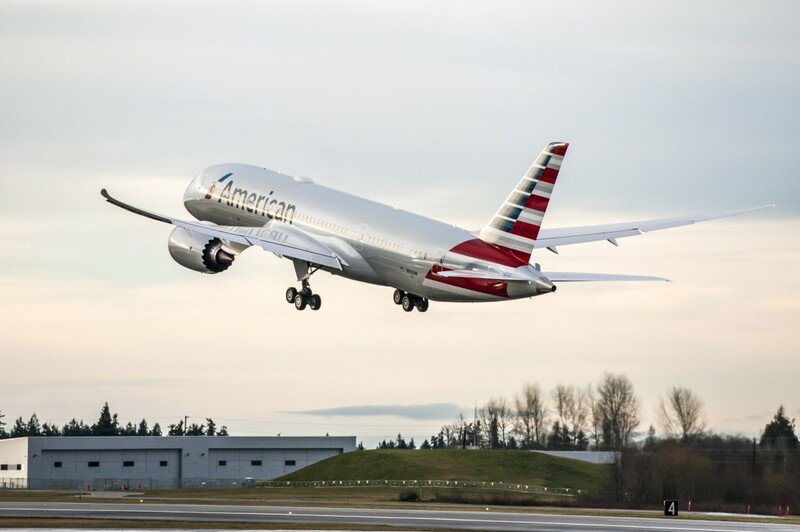 ** American Airlines AAdvantage Executive Platinum customers traveling solely on North American itineraries do not qualify for Flagship Lounge access. North America is defined as U.S. (including Hawaii and Alaska), Canada, Mexico (except Mexico City), Bermuda, the Bahamas and the Caribbean. Customers traveling on airline industry non-revenue tickets are not eligible for access. Starting in 2017, FlagshipSM lounge access will extend to all passengers booked in Business and First Class on Airbus A321T service (from JFK to San Francisco International Airport (SFO) or Los Angeles International Airport (LAX)). The airline will be refurnishing some of its existing lounges while introducing new ones in 2016 and 2017. The new design language featuring bold colors and modern decoration/furniture has been installed at Phoenix’s Sky Harbour International Airport (PHX) (gates A7/A9) and São Paulo–Guarulhos International Airport (GRU) Terminal T3. New lounges will also be opened in Houston (IAH) and Orlando (MCO) in 2016. Finally, American Airlines operates an Arrivals Lounge at London Heathrow Airport(LHR)’s Terminal 3. This will be renovated with newer shower suites, dressing areas and food/beverage service. The reopening is slated for Summer 2016. American Airlines continues to improve passenger experience through renovating its lounges in major cities as part of it Going For Great program (Insight). Special attention is made for its high yield passengers with the new FlagShipSM Dining option in JFK, MIA, DFW and LAX. Access to FlagShipSM becomes easier for passengers travelling on transcontinental premium service. This could signal a future change to the complimentary upgrades available on this route for its Executive Platinum members. There are many marketing opportunities for the airline to integrate items introduced in its new amenity kits with products from Cole Haan, 3LAB Skincare, C.O. Bigelow Apothecaries and Clark’s Botanicals. This new kits are designed from the grounds up by in flight experience specialist, Buzz. FlagshipSM Dining in different cities can feature dishes that are locally influenced and sourced. One unfortunate note is the absence of ORD from this dining option as American Airlines handles many transatlantic flights from this airport. The airline should explore partnerships with technology companies to furnish the new lounges with new products beyond computers and printers. For example, new lounges can feature wireless charging capabilities for mobile devices.